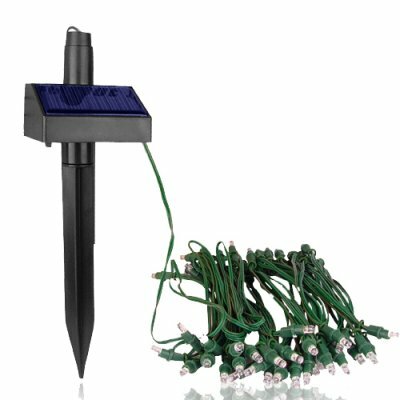 Successfully Added Solar Powered Courtyard Landscaping Light - 11.5M Cord to your Shopping Cart. Solar Garden Lights - excellent, environmental idea for your home or garden. Perfect for Christmas or any time of year - looks great strung around a bush or doorway. The string of fairy lights is 11.5 meters long and powered by a 5W mono-crystalline Solar panel. It can run up to 12 hours when fully charged and it contains 60 bright red lights. This is a perfect item for decorating your lawn for anytime of year, stocked in our warehouse for immediate order fulfillment and worldwide shipping to any destination whether it's you or your customer.